Frank Rizzo answered the phone at his Long Island home on a rainy Saturday to hear a chilling voice claiming someone was hurt badly. "Do you have a brother or son?" the caller asked. "Yes. I have both,” Rizzo said, fearing it was his son, Frank Jr., who got into a car accident on roads slicked by rain. "Is he bleeding? Is he hurt?" His panic turned to terror as the mysterious voice grew colder, explaining how Frank Jr. crashed his car into the car of a violent madman who just happened to be the caller’s brother. "He’s hurt and he damaged my brother’s car and he’s holding him,'" the man told Rizzo, asking for $1,500. "If you don’t get him, he’s said he’s gonna hurt him," the caller said. "Put your jacket on, get in your car and start driving to the ATM. You’re gonna drive straight to get the money from the ATM. If you try to go somewhere else we’re gonna have problems. OK?" What Rizzo didn’t know was that he was a potential victim in an elaborate scam that's popping up around the tri-state. 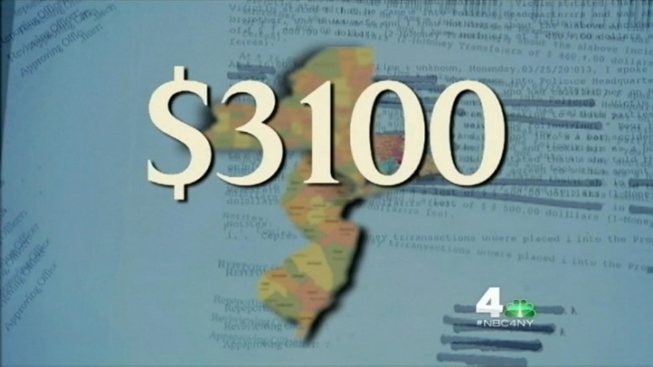 Police reports obtained by NBC 4 New York tell the same chilling story in New Jersey, New York and Connecticut: $1,000, $2,500, and $3,100 being demanded from people who are told their loved ones were in car accidents. The scam is effective because it strikes directly at its victims' biggest vulnerability. The caller fires off questions and uses the victim's answers to cause more confusion. Many times it ends when victims wire money overseas. “Your adrenaline starts running," Rizzo said. Law enforcement professionals say the scammers sometimes use social media to make their scam more authentic and effective. “They clearly have the upper hand," said Sal Lifrieri, a law enforcement expert with more than two decades experience. "They’ve had time to plan it. They’ve had time to research it. They’re using the information that’s becoming available to them from social networking sites." When Rizzo started asking questions, he was able to save himself. "The flag was they couldn’t answer the most simple questions. "'What type of car?' 'Where did this happen?'" said Rizzo. While the scammer was still on the phone, Rizzo's wife, Kelley, learned their son was safe at home, and called the police. Rizzo stalled long enough to meet up with police officers. But the caller sensed something was amiss and hung up. The caller is still on the loose. The Rizzos hope sharing their encounter will spare others a similar fright. “It was just the most frightening experience of my entire life honestly," said Kelley Rizzo.